Get ready to smile this spring with Cheerful Chirps Chick! 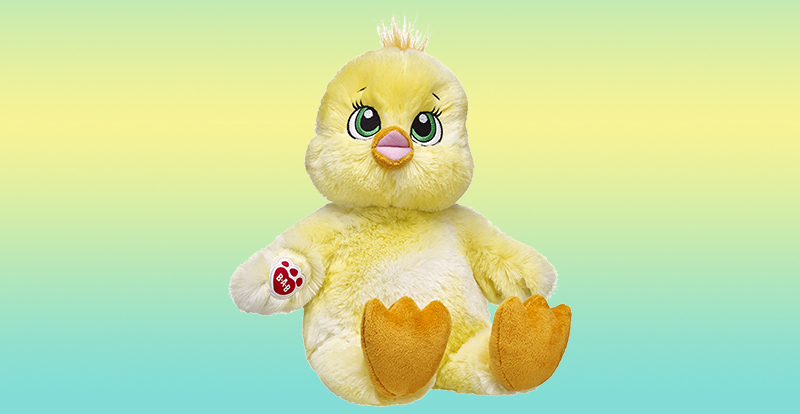 This happy lil’ stuffed chick has bright yellow fur and radiant green eyes. With orange feet and an orange beak, Cheerful Chirps Chick also features a tiny tuft of orange hair on its head. Give your Cheerful Chirps Chick a cute Easter outfit for a perfectly personalized gift this spring!